There are 38 flower remedies that had been discovered by Dr Edward Bach. How it works is you choose your flowers and remedies based on your moods and feelings. The same also applies for animals. Here is the list of 38 flowers and what they heal. better with any and all sudden crisis’s that occur in the future. Rescue Remedy is the best known of the crisis remedies but all remedy makers have their version of this as well. The rescue remedy 'normal', or for pets is recommended for regular use for parrots, even if your parrot appears well. Rescue Remedy can safely be continually used in preventions as well as in emergencies. 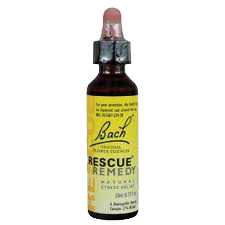 There are also other Bach Rescue Remedies for pets, like Pastilles and others. These are not recommended for use for parrots. Here is a list of flowers put together for different problems. Usually the flowers are in groups of 4 to 6 however you can have 1 or 2 more on occasion. Apple Cider vinegar- Packed with vitamins and minerals it’s great for the intestinal system. It can be used for candida, bacterial infections, diarrhoea. Eclectus parrots that eat food high in Vitamin A and beta-carotene will result in better immune system response to disease. Most orange, yellow and red vegetables contain vitamin A and beta carotene. Also very good sources of vitamin A come from kales and many other leafy greens. These flowers and remedies are only a guide. Please consult your birds avian vet or holistic expert for the correct flower uses and dosages. TIP: eclectus parrots do better on holistic care. Anything as simple as a dew herbs and weeds a day can help improve he health of your birds.